Over 400 cars and light trucks are stolen in Canada every day. If your vehicle is stolen, there is less than a 50% chance it will ever be recovered. 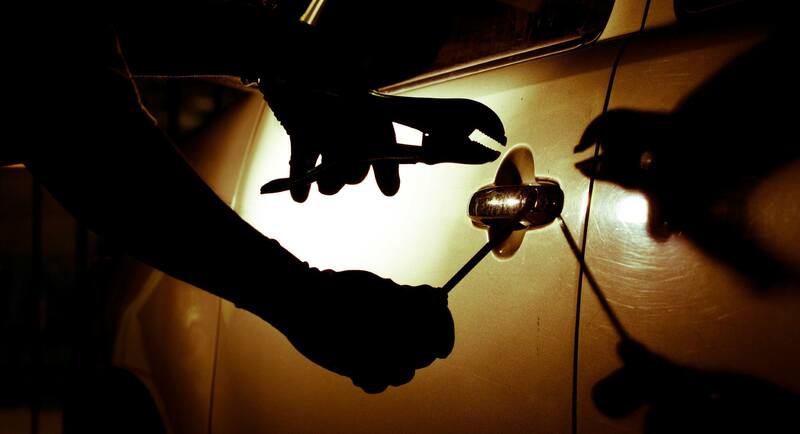 Each year, motor vehicle theft costs Canadians approx. $1 billion. 1 in 6 motor vehicle thefts occur from driveways and garages. There's only one reason thieves steal - profit. YOU SEE PROTECTION & COVERAGE. Tricor's traceable identification codes are engraved discreetly on your vehicle providing nearly invisible, yet powerful protection. In the event of theft without recovery, we make sure a licensed insurance company pays your benefit. When thieves see the Tricor codes they see a vehicle that can be easily traced. They see less profit and a greater chance of being caught. We also place Tricor anti-theft warning decals on your vehicle to ensure thieves recognize that it is clearly protected. Insurance companies and law enforcement agencies agree with us - Tricor's Customer Vehicle Protection significantly reduces the risk of theft. Your personal I.D. number is etched onto you vehicle, recorded and stored in a secure database, which is immediately accessible to law enforcement in the event of theft. * Please see your Certificate for the specific terms, conditions, limitations and exclusions that apply to your coverage.